Check out this great BUSINESS CLASS offer to San Francisco! Since San Francisco’s early cityhood it has been a mosaic melting pot of Chinese, Japanese and Italian immigrants (to name a few), many of whom were held at Angel Island, the West’s own Ellis Island equivalent. Today you can catch a ferry out to the historic island which is now a beautiful park suited for most outdoor recreation including cycling and jogging. 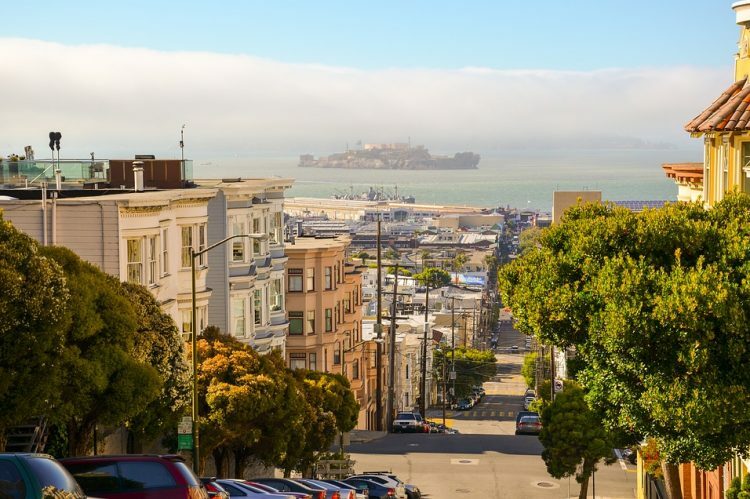 San Francisco is known for its year-round fog, iconic Golden Gate Bridge, cable cars and colorful Victorian houses. The Financial District’s Transamerica Pyramid is its most distinctive skyscraper. In the bay sits Alcatraz Island, site of the notorious former prison.